Whether you are an architect, engineer, contractor, or building owner who will purchase a service contract when you buy a high purity water system or an end user whose trained facility manager will be performing some occasional in-house maintenance; there are many vital preventative measures that cannot be overlooked if reliable, consistent results are the goal. 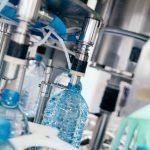 Putting the horse before the cart, of course, it is important that buyers have initially contacted an expert in high purity water BEFORE purchasing such a high end, intricate product. An expert in HPW will help customers understand how their decisions will impact their budget, manpower, and process. They will also offer guidance on cost-effective solutions that meet long term needs, such as service contracts. Service contracts on upscale, complex water purification systems are indispensable. Water, the starting point for pure water, is the most valuable commodity on earth, nothing lives or thrives without it. 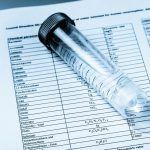 Industries and municipalities employing pure water for research, agriculture, medicine, biopharma, and endless other applications depend on an uninterrupted source of quality water that meets ASTM, CLSI and USP standards. 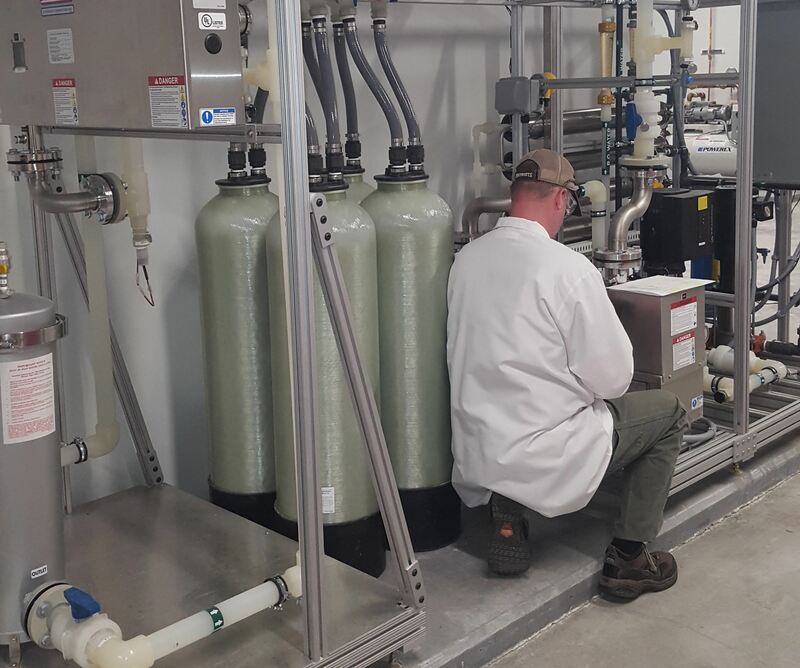 An industry ‘pure water expert’ will discuss the client’s unique needs and how their building location, access points, and municipal water conditions will affect the purification equipment and process. For example, some agricultural companies use collectors to absorb and condense excess water from plants, which is returned through the filter and cycled through the RO process. 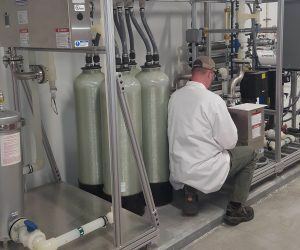 This recycled water is starting at a higher purity level and will need fewer filter changes as opposed to city water going through a system which will need filters and carbon tanks replaced more often to remove sediment and contaminants. Service contracts are practical insurance for HPW systems. Purchasing a service contract ensures the longevity of the HPW system. Service contracts can range from 1 to 3 years or be customized according to the client’s needs and may include weekly, quarterly, and yearly visits by a trained technician. Performance audits, spare parts, consumables, and system sanitization will share equal value in any maintenance plan. When systems go down production, revenue, and reputation may be affected. Water quality may be affected, especially if it is unknown how long the system has been offline. Not replacing a carbon tank will cause chlorine levels to rise, which in turn causes damage to the RO membranes and decrease its effectiveness. If final filters need replacement a loss of pressure could be experienced in the system loop. UV lamps have count down clocks (starting with 365 days). If replacement is not conducted at the end of the cycle micro-organisms in the water will not be eradicated. If sanitization is not performed on a yearly basis, algae may form in all components. Even the purest water is rarely free of living organisms or microbes and the sanitization process effectively cleans the final filters, UV’s, storage tank, and all looped plumbing. If not replaced, the DI (Deionization) tanks will lose effectiveness at about the six-month mark. This could cause the water quality to drop from the recommended 17-18 Ω to under 1 Ω. As with any intricate machine, the need for maintenance is paramount and it will not be a question of ‘if’ production stops due to issues that were avoidable, but ‘when.’ Contact an HPW expert today for information on how a service contract can keep things running smoothly for you and your customers. Scheduling Tip: It may be helpful to consider the best time of year to schedule maintenance that might unavoidably necessitate a day of downtime. 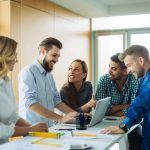 This is not applicable to everyone’s situation, but when it occurs company managers have suggested the month of December (or the Holiday Season), which is tied to the lowest usage rate within departments utilizing the high purity water.